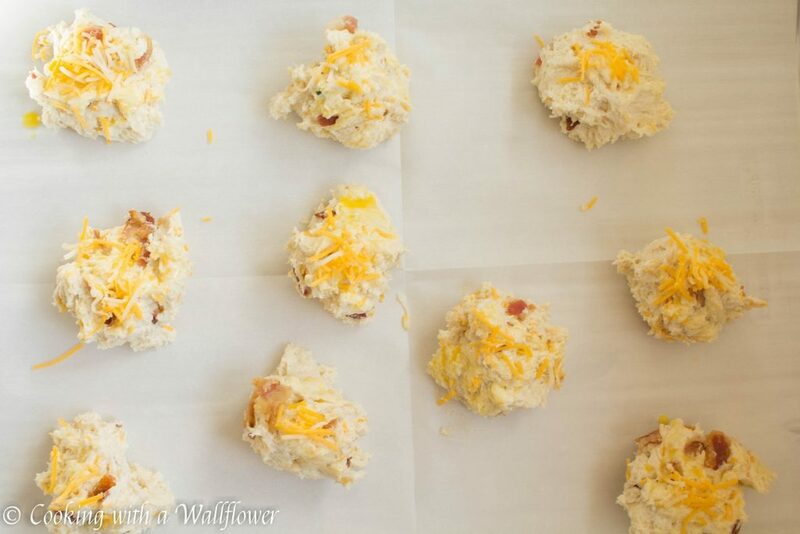 Buttery biscuits filled with melted cheddar and pieces of crispy bacon. 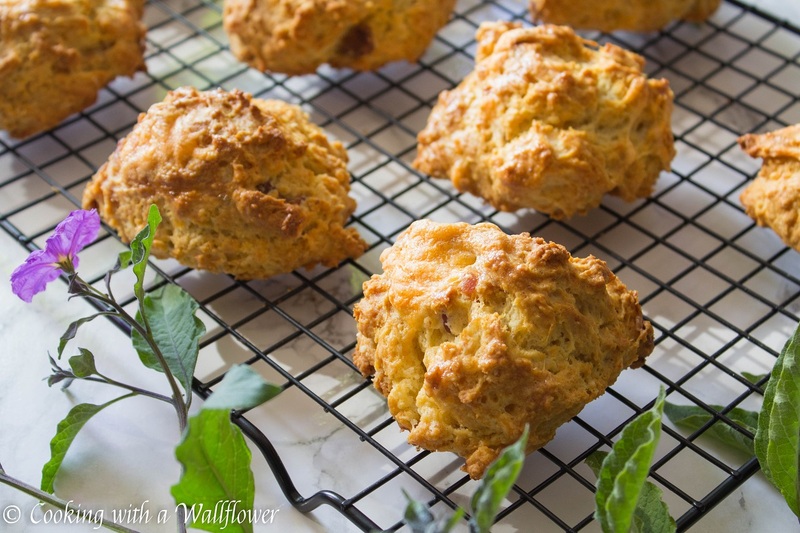 These bacon cheddar biscuits are delicious and perfect as sides. Just one more week until it’s Thanksgiving! I’m sooo excited. Can you tell? There’s still so much to do. I work six days this week plus I have an event to attend tomorrow night. So somewhere in between, I’m going to have to clear out the fridge and go grocery shopping. Because Thanksgiving is not a day you want to wait last minute for. Have I mentioned that at this point, I’ve been eating Thanksgiving leftovers for over a week already? I’m pretty much eating Thanksgiving leftovers until Thanksgiving. Why? 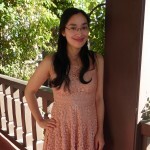 Because I’ve been making recipes to share with you. 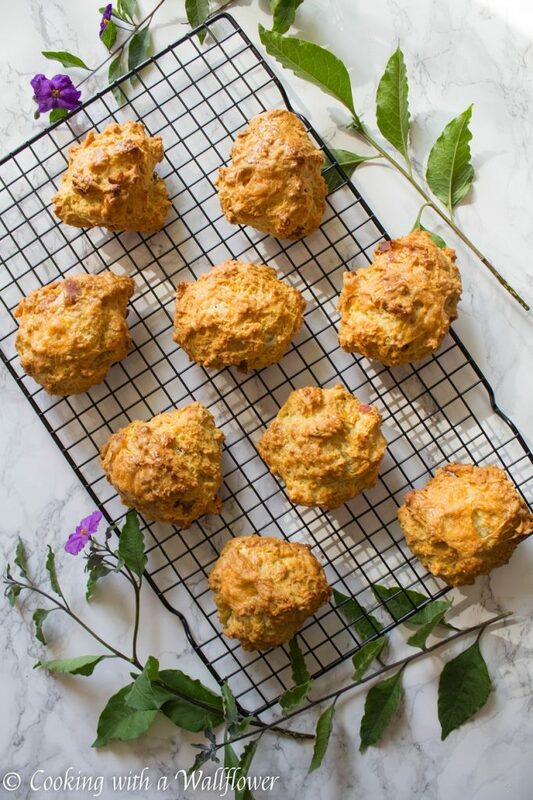 And I might have botched a batch or two of these bacon cheddar biscuits. While they taste the same, some of them did not look good. So that meant I had dozens of bacon cheddar biscuits to eat. Real life of a food blogger. lol. In the mean time, did you remember to enter my current giveaways? We’re celebrating 5 years! So you can enter for a chance to win a gift card and/or a Degusta Box snack box giveaway. 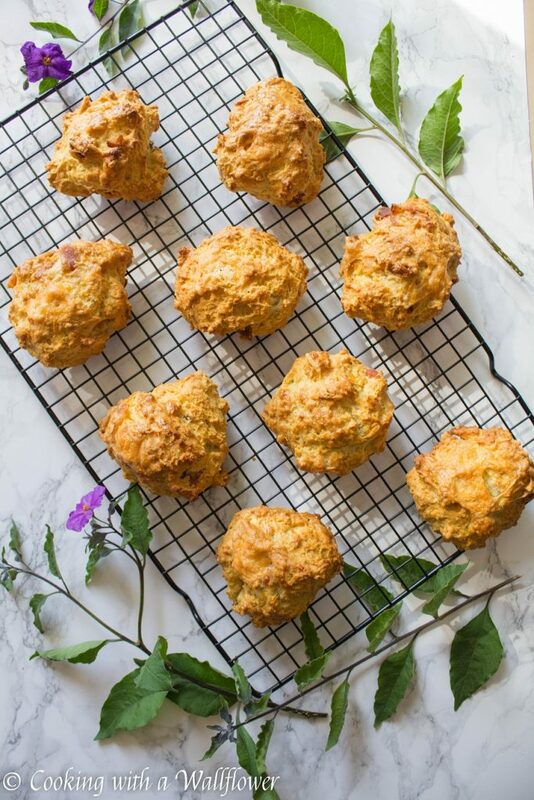 But let’s talk about these bacon cheddar biscuits. You know, the batch that I didn’t mess up on? These biscuits taste so amazing. Soft and buttery on the inside with just a slightly crispy top. Plus, it’s filled with the savory flavor of bacon in every single bite. I had a hard time stopping after one biscuit. Luckily for me, biscuit mistakes = endless amount of biscuits to eat. I’m not going to run out of bacon cheddar biscuits for awhile. Lol. 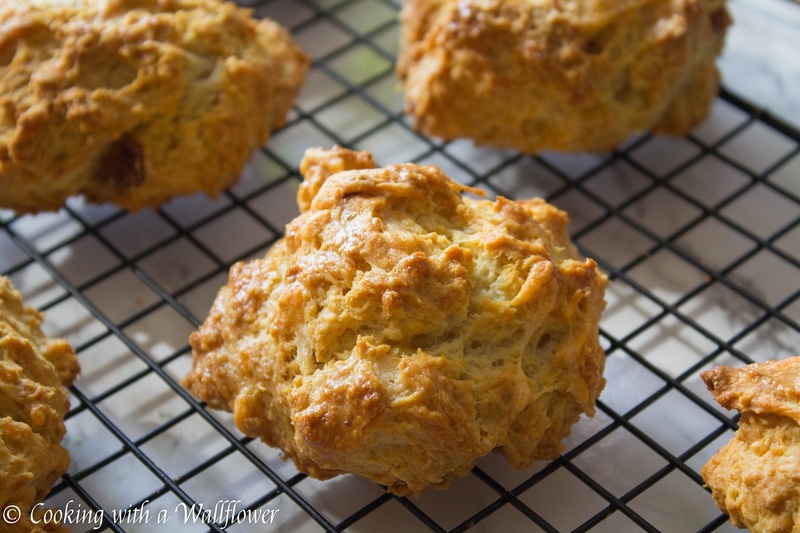 These biscuits are super easy to make, and it’s great as a side. Trust me, you’ll want to have a basket of this set on the side for those who are hungry and have trouble waiting until dinner is ready. Aka me. I will steal whatever is available off the table when I’m hungry. So I need snacks to munch on while I prep and cook. 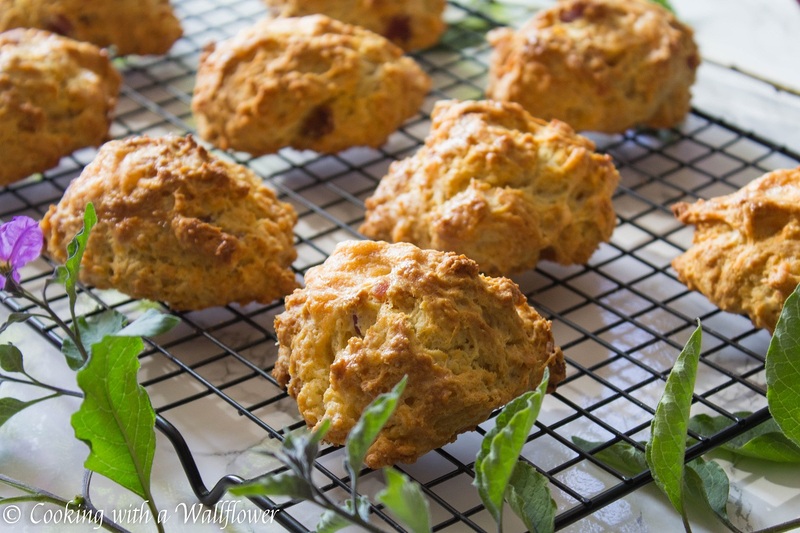 Bacon cheddar biscuits to the rescue. Preheat the oven to 375F. Line a baking sheet with either parchment paper or with a silicone baking mat. 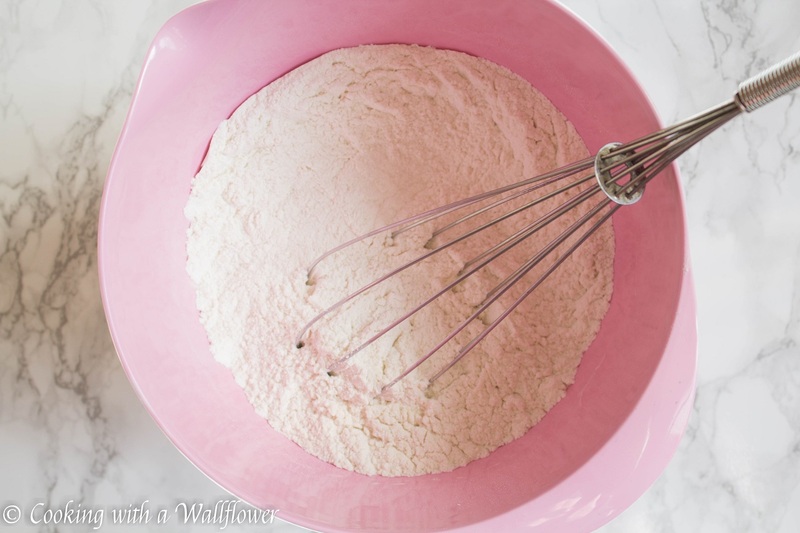 In a large bowl, add all purpose flour, baking soda, baking powder, salt, and granulated sugar. Mix these ingredients until they are well combined. Next, add butter to the bowl. Use a pastry cutter or two forks to break the butter apart. 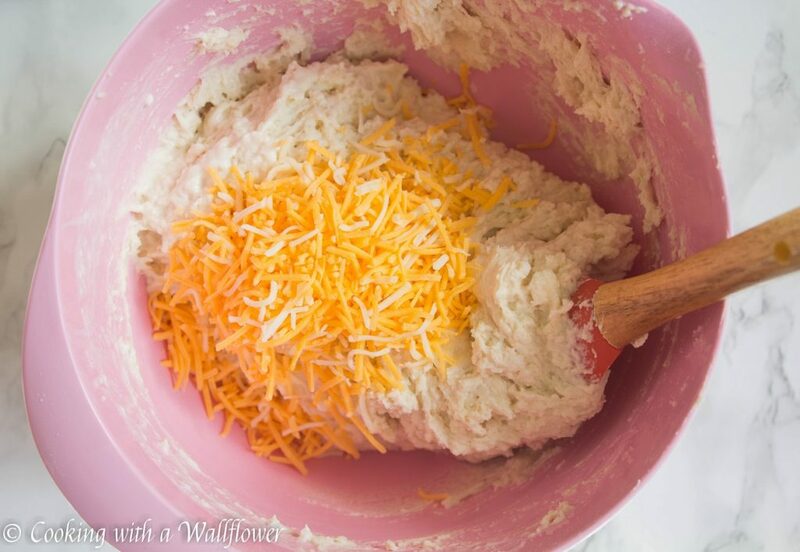 Mix the butter with the flour until they become pea size. Fold in the cheddar cheese and bacon crumbles until they are well distributed in the dough. Pour in the buttermilk and stir until the ingredients are wet. 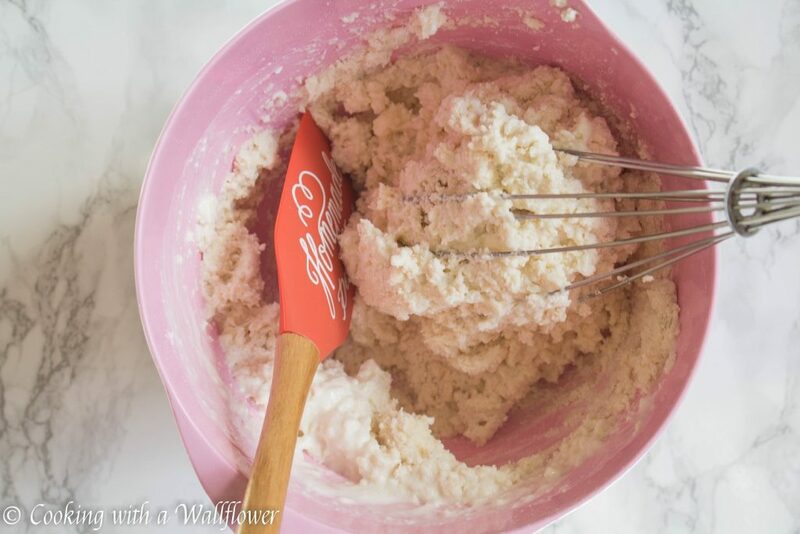 Use a ¼ measuring cup to scoop each serving of dough. Place the dough onto the prepared baking sheet. 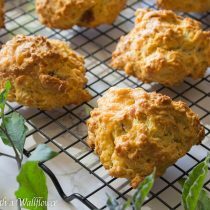 Sprinkle extra cheddar cheese over each biscuit before placing the baking sheet into the oven to bake for about 12-14 minutes or until the top of the biscuits are golden brown. Serve these bacon cheddar biscuits warm. 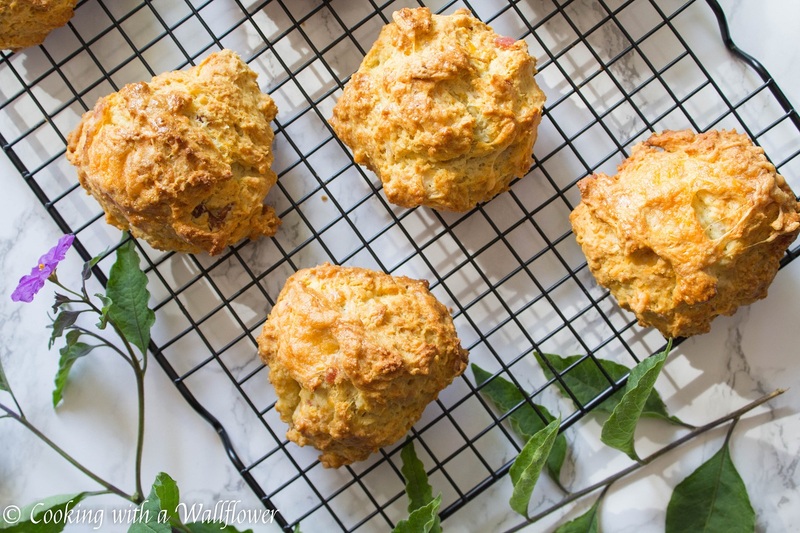 This entry was posted in Comfort Food, Fall Cravings, Holidays, Quick and Easy, Recipes, Sides, Thanksgiving and tagged bacon, biscuits, cheddar biscuits, quick and easy, sides, Thanksgiving sides.